Pakistan recently claimed its stake on the famed diamond, ‘Kohinoor’. Barrister Javed Iqbal Jaffry alleged in his petition filed to the Lahore High Court that the UK stole the Kohinoor from Daleep Singh, grandson of Maharaja Ranjeet Singh, and took it to Britain. The diamond being the cultural heritage of Pak side of Punjab, Jeffry assumes that Pakistan has equal rights on this condensed piece of carbon. But for India the issue goes far beyond the billions of dollars the diamond is worth and it is an emotional issue for most, seen as a symbolic British subjugation of India. The history of Kohinoor on the other hand interconnects both fact and fiction, one may find it difficult to differentiate fact from fiction. Here we are not making any efforts to separate fact from fiction, with the hope that it will bemuse our readers. 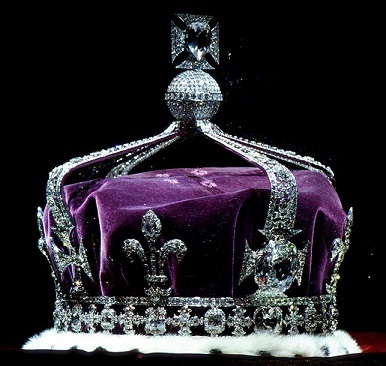 Kohinoor, the cursed diamond is now in the possession of British Royal Family. The possibility of a curse pertaining to ownership of the diamond dates back to a Hindu Text relating to the first authenticated appearance of the diamond in 1306. “He who owns this diamond will own the world, but will also know all its misfortunes. Only God, or a woman, can wear it with impunity.” The name Kohinoor was given by the Persian King Nadirsha. In Persian language Kohinoor means “Mountain of Light”. The modern history says the jewel was owned by Legendary Hindu King Virkamaditya of Ujjain who ruled from 102 BCE to 15 CE. But many believe that Kohinoor is Symantakam , the famed diamond referred in Hindu Puranas. In its long history of ownership changes, Kohinoor had belonged to various Hindu, Rajput, Mughal, Persian, Afghan, Sikh and British rulers. It was adored and adorned by Kings and Emperors as spoils of war from time and again. Most recently it was looted by the East India Company and became the part of British Crown Jewels when Queen Victoria proclaimed Empress of India in 1877. The diamond was traditionally known as Syamantaka-mani and later Madnayak or the King of Jewels, before being renamed Kohinoor in 18th century by Afghan Ahmad Shah Abdali. Kohinoor is a 105.6 metric carats diamond, weighing 21.6 grams in the most recent cut state, and once the largest known diamond. Kohinoor means Mountain of light in Persian language. It is believed that whichever king or country that possesses this jewel will become prosperous. But disaster will strike when a male possess it. It is also believed that the curse won’t affect a female wearer. Kohinoor was in the possession of The Kakatiya dynasty which is a Telugu dynasty that ruled most of current day Andhra Pradesh, India from 1083 CE to 1323 CE. 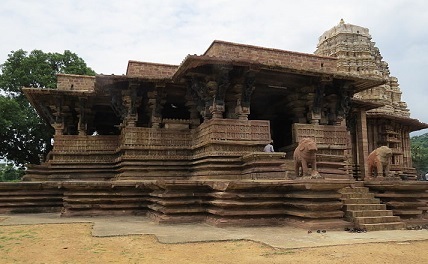 Kakatiya kings installed it as one of the eyes of the presiding Goddess in a temple in their capital city of Warangal. A Turkic ruler Ghiyas ud din Tughluq Shah I, ascended the throne of Delhi in 1320 AD. Tughlaq sent his commander Ulugh Khan in 1323 to defeat the Kakatiya king Prataparudra. Thus Kohinoor reached Delhi. From then onwards, the stone passed through the hands of successive rulers of the Delhi sultanate, finally passing to Babur, the first Mughal emperor, in 1526. The first confirmed historical mention of the Koh-i-noor by an identifiable name dates from 1526. Babur mentions in his memoirs, the Baburnama, that the stone had belonged to an unnamed Rajah of Malwa in 1294. Babur held the stone’s value to be such as to feed the whole world for two and a half days. There is no mention of how Babur lost the possession of this much valued diamond. But later Mugal ruler Humayun receives it from a prince as a gift of gratitude. Needless to say, it turned Humayuns life to one littered with bad luck. Sher Shah Suri, who defeated Humayun took possession of the diamond but later died in the flames of a burst cannon. Humayun’s son, Akbar, never kept the diamond with himself and later only Shah Jahan took it out of his treasury and placed it in his peacock throne. Akbar’s grandson, Shah Jahan was overthrown by his own son, Aurangazeb and imprisoned his ailing father at nearby Agra Fort. Persian King Nader Shah in 1739 after conquering Delhi looted Kohinoor along with the Peacock Throne. It is believed that it was Nadir shah who gave the Persian name to the cursed diamond. Until this period this diamond was referred as the Diamond of legendary King Vikramaditya who ruled Ujjain from 102 BCE to 15 CE. Needless to say Nadir Shah was assassinated in 1747. The stone came into the hands of Ahmed Shah Abdali of Afghanistan. In 1830, Shah Shuja, the deposed ruler of Afghanistan, managed to flee with the Kohinoor diamond. 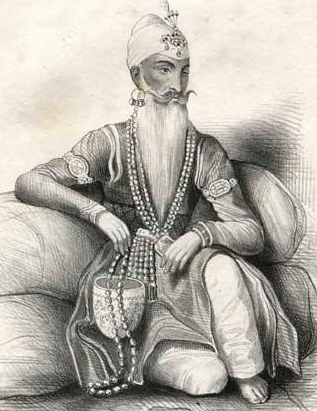 He then came to Lahore where it was given to the Sikh Maharaja of Punjab, Ranjit Singh; in return for this, Maharaja Ranjit Singh won back the Afghan throne for Shah Shuja-ul-Mulk. Maharaja Ranjit Singh willed this diamond to Jagannath Temple in Orissa. But after his death The British took control of his kingdom. The Governor General of British India Dalhousie, with his crooked brain forced Ranjith Singh’s 13 year old son to Gift it to Queen Victoria of England. But whenever the British throne was occupied by a King Disaster struck Britain. Victoria’s son Edward VII‘s short rule was spared from the curse of the Diamond . But George V‘s reign saw the Britain getting destroyed from the effects of World War 1. Edward VIII abdicated the throne. During George VI s reign, world warII began, destroying most of Britain. Many believe that Kohinoor is same as Symantakam , a cursed and blessed at the same time ruby described in Hindu vedic texts . Here is the cursed history of Symantakam. The story of Symantaka mani is from Vishnu Purana , a religious hindu text and one of the eighteen Maha puranas . The jewel originally belonged to the Sun god, who wore it around his neck. It was said that whichever land possessed this jewel would never encounter any calamities in the form of natural disasters such as droughts, floods, earthquakes or famines, and would always be full of prosperity and plenitude. Wherever the jewel remained, it would produce for the keeper eight bhāras of gold daily. As per Vishnu Purana , Sun God gifted the jewel to Satrajit , a Yadava prince. Satyajit later presented this jewel to his brother Prasen . Prasen was attacked and killed by a lion while hunting in the forest. The lion fled with jewel. The lion was later killed by the King of the Gorillas named Jambavan . Jambavan later gave this jewel to his children for playing. Lord Krishna demanded the jewel back from Jambavan . Jambavan engaged SriKrishna in mortal combat. Lord Krishna fought with Jambavan for 28 days to recover the jewel. Jambavan later gave the jewel to Srikrishna . Sri Krishna returned the jewel to Satrajit. Satdhanwa a rival of Satrajit killed Satrajit and took the jewel and later passed it to his brother Akrur . Satdhanwa was chased down by Krishna and Balaram and finally killed by Krishna near Mithila. Later Krishna returned to Dwaraka, and upon realizing that Akrura had already fled to Kashi with the Shyamanthaka jewel, summoned him up, and asked him to admit his guilt. When Akrura complied, Krishna let him keep it, on the condition that it was to remain in the city of Dwaraka. Eventually Dwaraka went under the sea. From this point onwards, there are no reference about Syamantaka in Puranas however many speculate that Kohinoor diamond is none other than the famed Syamantaka.